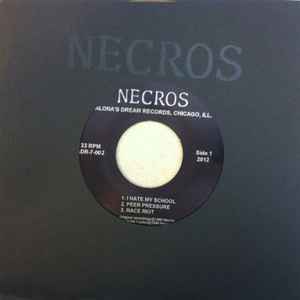 Official release of the Necros' first demo, named for the studio where it was recorded. Some copies include Necros sticker. Some mailorder versions includes Necros badge. Includes 6" x 6" Photo / Bio insert. Some versions have sticker "Necros" instead of embossed cover. Multiple vinyl colors, no inserts, hand-screen covers.